Spider’s propensity for human blood and Weyerhaeuser’s haunted house. Must be Halloween. Finally, more on the historic code changes proposed for tall wood (and reinforced steel) in the US, and those that oppose them. Tall timber code proposals pass public comment hurdle, final ICC vote in Dec. The American Wood Council’s tall timber code proposals were approved by more than 2:1 at the International Code Council’s public comment hearings. While architects celebrate the potential (in Treehugger) and states move forward regardless (i.e. Oregon), the December vote isn’t a shoe-in. In other news: tensions escalate around Northern Pulp’s future in Nova Scotia; tariffs on China are causing new home prices to rise in Idaho; Oakland’s suspicious fires have developers bracing for higher insurance costs and considering switching to more expensive steel framing. Finally, the WWF says 60% of the world’s wildlife has been wiped out since 1970 and Eastern Australia is deemed a deforestation front — the only location in the developed world to make the list. According to Random Lengths – disappointment permeated framing lumber markets last week and structural panel sales continued to lose ground. In other Business news: Steelworkers in BC’s southern interior returned a 98% strike vote; forestry experts say Montana’s forest industry is rebounding; and BC forests face a worker shortage for reforestation. In Forestry news: Ottawa and BC are still talking on endangered southern caribou; a gov’t scientist is sounding the alarm on drunken trees in Canada’s North; an Irish botanist worries about ancient trees worldwide; and an Oregon senator says the West has an epidemic of trees. Finally, McDonald’s rebrand includes CLT; and Washington could be the first state to charge for carbon emissions. Scared by Spiders? Get Over It! Halloween is for celebrating the scary: imaginary monsters—ghouls, goblins and ghosts—along with real but scary-seeming creatures such as bats, black cats and spiders. …Although spiders are common houseguests year-round, during October they finally get their due, although it’s not necessarily favorable. With over 47,000 described species, around 3,400 of which live in North America, most Americans have spiders as roommates whether they like it or not. …These arachnids (part of phylum Arthropoda) eat billions of insects yearly—mosquitoes, for example. …Fortunately, spiders want nothing to do with humans. Over the last hundreds of millions of years of their evolution they’ve never once shown a propensity to take a blood meal from us, unlike ticks. The Quad-Cities has been home to many violent crimes and macabre deaths. 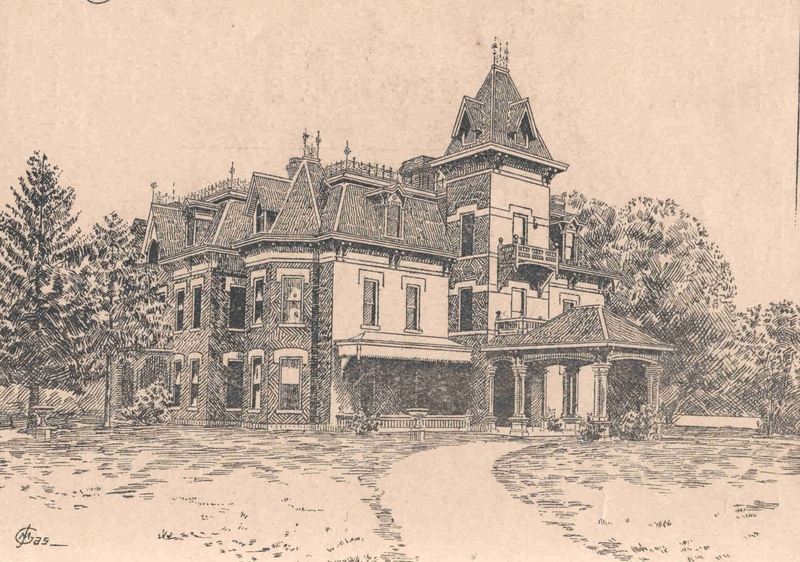 …One of our most famous ghosts is the ghost from Augustana’s House on the Hill, once the mansion of the Frederick Weyerhaeuser lumber family and home to beloved Dean Betsey Brodahl. The protective spirit is allegedly Apollonia Weyerhaeuser Davis, a daughter of the Weyerhaeuser family. Apollonia was the last family member to reside there until she died in 1953. Some of the ghostly happenings associated with the House on the Hill spirits include locked doors suddenly hanging ajar, antiques moved and rearranged, and water running from faucets that weren’t turned on before. …In fact, paranormal investigators who visited the Weyerhaeuser Mansion claim to have found evidence of supernatural visitors. VANCOUVER — Conifex Timber announced today that its wholly-owned subsidiary Conifex Power Limited Partnership completed a $70 million secured term loan with a syndicate of private lenders to refinance its existing loan. The Loan has a 15-year term, is secured by substantially all of the power segment assets and bears interest at a rate of 6.10% per annum. The Loan is expected to be fully amortized over its 15-year term, which ends approximately 18 months before the remaining term of Conifex Power Limited Partnership’s Electricity Purchase Agreement with B.C. Hydro and Power Authority. Members of the Quesnel Volunteer Fire Department have some new equipment to test out, courtesy of West Fraser Mills. The local mill donated $25,000 worth of equipment to local firefighters, including two rescue saws, one portable generator, two battery-operated LED flood lights and 50 pairs of work boots – a pair for each active member. …“We are pleased to support the Quesnel Volunteer Fire Department with important equipment. All of our operations are grateful for their dedication to keeping our community safe,” commented Chris Finch, general manager of the Quesnel sawmill operation. 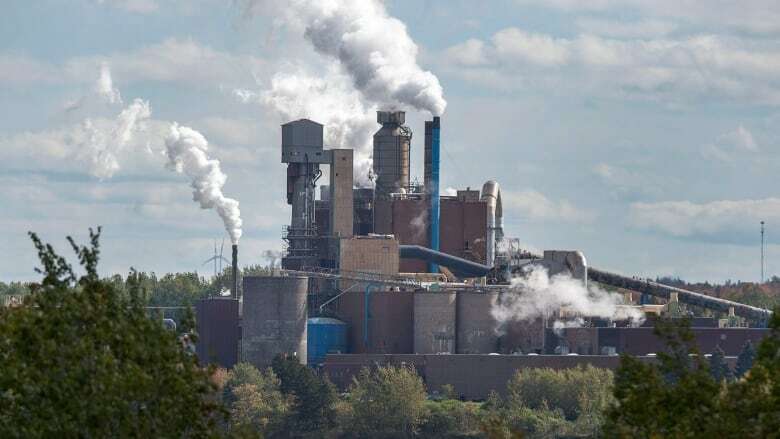 Central Nova MP Sean Fraser says he’s “deeply concerned” about what could happen in his riding as tensions continue to escalate around the Northern Pulp mill in Pictou County, N.S. Last week, fishermen from the community confronted a survey boat contracted by the mill to gather data. Eventually the boat returned to shore. Fishermen have said they’d be monitoring the boat and prevent it from doing work. As the pulp mill prepares to submit its proposal to the Nova Scotia government for a new effluent treatment facility, one that would see treated wastewater find its way into the Northumberland Strait, divisions have deepened in the area as people pick sides between supporting the mill, its future and the corresponding jobs, and supporting the fishermen, Pictou Landing First Nation, the environment and tourism. Fraser said he gets calls to his office on a “near daily basis” from people on both sides of the issue. 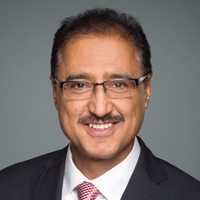 CHAPLEAU, ON – …The Honourable Amarjeet Sohi, Canada’s Minister of Natural Resources, and Paul Lefebvre, Parliamentary Secretary to the Minister, today officially highlighted a multi-year $743,000 investment in the Northeast Superior Regional Chiefs Forum to promote Indigenous-led economic development in our forest sector. Through this investment, Indigenous-owned businesses have delivered real results for their communities by enabling the Chapleau Cree First Nation to develop the Northeast Superior Regional Chiefs “Conservation Economy Strategy” — a cornerstone for forest sector economic development in member communities, including Missanabie Cree, Brunswick House, Michipicoten and Pic Mobert First Nations. This opportunity was co-funded by NRCan’s Indigenous Forestry Initiative and Indigenous Services Canada’s Strategic Partnerships Initiative. For 125 years, the North American Wholesale Lumber Association (NAWLA) has provided lumber wholesalers with services, camaraderie and a shared voice, one that resonates as strongly today as at any time in its history. Certainly, the road has not always been a smooth one. But the need for an organization like NAWLA has been unmistakable. Through the 1880s, most state lumber dealers associations were comprised of both wholesalers and retailers, who saw their roles as wholly distinct. Mills would manufacture the product, sell it to regional wholesalers, who would place it with local retailers, who would re-sell it to the final end-users. But by 1890, the economy began to falter, and some retailers—desperate to cut their costs—started going around the wholesalers and approached mills to buy direct. At the same time, some wholesalers started going around retailers by selling direct to end-users. Once fraternal groups suddenly turned acrimonious, and both retailers and wholesalers began abandoning the associations en masse. PORT ANGELES — The pivotal economic role of the Port of Port Angeles’ log yard was extolled Monday in a joint meeting of port and Clallam County commissioners. Its virtues include hosting a customer that provides 80 percent of the wood fiber processed by Port Townsend Paper Corp., which manufacture kraft pulp, paper, containerboard and specialty products. The Port and Clallam County commissioners met in joint session at the port administration building to discuss issues of common interest and hear a 50-minute presentation by port consultant and Peninsula College economics Professor Daniel Underwood of Olympus Consulting. Underwood gave his report, “The Port of Port Angeles Log Yard: A Nexus for the Revitalization of Economic Welfare in Clallam County,” to port Commissioners Connie Beauvais, Colleen McAleer and Steve Burke and Clallam County Commissioners Bill Peach and Randy Johnson. New home prices in the Treasure Valley are already high. Tariffs will add to the cost. New–home prices in the Treasure Valley have risen 5.3 percent over the past 12 months, amid high demand and low supply. Now an outside force — tariffs imposed by President Donald Trump on Chinese imports — could boost prices even more and escalate costs for remodeling projects. The president recently imposed 10 percent tariffs on 6,000 items imported from China. …By the first of the year, the tariffs are scheduled to rise to 25 percent….Last year, U.S. home builders bought more than $21 billion in products from China. …The tariffs come on top of Trump tariffs on Canadian lumber that add an estimated $9,000 to the cost of a typical single-family home in the U.S., the home-builders association says. Could suspicious Oakland fires ignite housing prices? OAKLAND — …After a massive fire gutted the Ice House townhome project in West Oakland on Tuesday… developers and housing experts say the fallout could ultimately hit the pockets of Oaklanders already struggling to rent or own homes in the city. The fires have delayed the construction of hundreds of homes that advocates say are needed to help address the city’s housing shortage, and builders are tripling or quadrupling their security spending to protect against arsonists, bracing for higher insurance costs and considering switching to more expensive fire-resistant building materials. …Madison Park has started designing new projects with more expensive steel frames instead of the flammable wood frames typically used, and Protopappas expects other developers will follow suit. He estimates the metal framing will cost between $750,000 and $1 million more for a 50,000 square foot building. Weyerhaeuser Co., Seattle, contributed $300 million to its U.S. pension plan during the third quarter, the company disclosed in its 10-Q filing with the SEC on Friday. The contribution was made to “maintain the U.S. qualified pension plan’s current funded status,” the filing said, in connection with previously announced derisking transactions. Those transactions, announced on Aug. 23, are a lump-sum offer planned for the fourth quarter to about 20,000 former employees vested in the plan who have yet to retire, and a group annuity contract purchase from an insurance company planned for 2019 to transfer U.S. pension plan liabilities. …As of Dec. 31, Weyerhaeuser’s U.S. and Canadian pension plan assets totaled $5.514 billion, while projected benefit obligations totaled $6.795 billion, for a funding ratio of 81.1%, according to the 10-K filing. Nearly 100 companies have contracted fully 80% of the available exhibit space for the 35th Forest Products Machinery & Equipment Exposition – Expo 2019 – to be held June 26-28, 2019 at Atlanta’s Georgia World Congress Center. “Participation in Expo is reaching an early sell-out; most of the larger exhibit spaces are already occupied. Many of the exhibiting companies are determining the equipment they’ll bring for display in Atlanta. And some have expanded their exhibit space based on strong, pre-show orders,” commented Eric Gee, SFPA’s exposition director. “Expo 2019 is the best place to be for companies wanting to showcase the latest equipment, products and services for the wood industry,” he added. Sponsored and conducted by the Southern Forest Products Association (SFPA) every two years since 1950, this event has traditionally included many of the biggest names in the business. The two WRI global wood fiber prices indices fell slightly in the 2Q/18 after having increased for all of 2017 and early 2018. For most of the key pulp-producing regions, prices were down because of the strengthening US dollar, while prices in the domestic currencies generally have gone up the past year. In the 2Q/18, both of WRI’s global fiber price indices fell for the first time in five quarters, mainly because of the strengthening of the US dollar against currencies in all countries covered by the Wood Resource Quarterly. The 2Q/18 Global Softwood Fiber Price Index (SFPI) decreased slightly from the 1Q/18 but was still 7.8% higher than in the same quarter in 2017. Quarter-over-Quarter, softwood fiber prices fell the most in Brazil, Russia, Sweden and New Zealand. VANCOUVER, BC – From November 5 – 9 at the Vancouver Convention Centre (East and West), the United Nations Economic Commission for Europe’s Committee on Forests and the Forest Industry (COFFI) (which includes North America), the Canadian Wood Council/Wood WORKS! BC, and Passive House Canada are collaborating on a week of events to drive forward solutions for the transformation of the global building sector. As the need to take climate action becomes an imminent global issue, more innovative steps are being taken to manage renewable resources and the development of high-performance buildings. In Canada, policy initiatives such as the BC Energy Step Code and Build Smart – Canada’s National Building Strategy have moved to the front stage and become a guide post for the transformation of buildings in municipalities across Canada. Oregon has already incorporated tall mass timber construction into its building codes… Many states incorporate all or part of the IBC into their construction regulations, but, if there is any doubt on the part of local officials as to the safety of wood high-rises, states can choose not to include the new provisions. And advocacy groups on both sides of the tall wood debate are likely lining up to influence state and local decision making in this regard. The Portland Cement Association is an outspoken opponent of tall wood construction and recently sponsored an online survey that showed 75% of the 800 respondents believed raising the allowable height of wood buildings was a bad idea because wood was not strong and required more maintenance than other materials (33%); was a fire hazard (31%); would weaken and fail faster than other materials (10%); and would be less likely to hold up in natural disasters like earthquakes and hurricanes (8%). Proponents of two historic code changes—one to allow taller mass-timber buildings and the other to allow use of higher-strength reinforcing steel—are optimistic after recent ballots at two different meetings moved the proposals closer to acceptance by code officials and standards developers. …The other historic change would be the adoption of provisions, also in the 2021 IBC, to allow mass-timber framing in residential and office buildings as tall as 270 ft. …The ICC’s online voting, which runs for two weeks beginning mid-November, will determine whether the primary proposal, called G108–along with the other 13 related proposals on mass timber also approved on Oct. 24–will actually be included in the 2021 IBC. Preliminary results of the online tally will likely be announced in mid-December. …TWB is introducing three new types of construction for the Type IV classification of buildings, each with different height possibilities based on occupancy classification and the design of the mass-timber system. The International Code Council approves mass timber up to 18 stories. Big wood, or heavy timber, has … long been limited in height to about six storeys. According to Michael Kilkelly of Architect Magazine, the International Code Council …has been looking at the issue of tall wood since 2015. …The proposed rules would allow buildings up to 18 storeys or 270 feet tall, with the building fully sprinklered and all the wood fire protected… In buildings up to 12 storeys, mass timber components could be exposed. Of course, the American Wood Council is excited about this; Kenneth Bland says in a press release: Other nations have already seen the benefits of tall wood construction… The tremendous support of tall mass timber construction seen at the ICC public comment hearings, and the positive outcome, is one more important step toward advancement of tall wood in the United States. 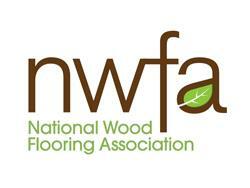 St. Louis — The National Wood Flooring Association (NWFA) is releasing a formal definition of wood flooring to help consumers and professionals identify the difference between real wood and wood-look flooring products. …A wood floor is any flooring product that contains real wood as the top-most, wearable surface of the floor. Wood flooring may be broken into three categories: 1. Solid wood flooring is a solid piece of wood from top to bottom. 2. Engineered wood flooring is real wood from top to bottom. …3. Composite engineered wood flooring contains real wood on the wearable surface only. …Now that the definition of wood flooring is approved, the work of promoting the definition, and the wood flooring that falls under the definition, will begin. …Three years ago, Oregon’s embattled rural timber industry proclaimed it would rise again atop wooden skyscrapers. Now the dream is turning to reality as regulations lift, factories ramp up production and the nation’s premier mass-timber research arm expands its offerings. …An important part of the evolution of mass timber is the role of academia in propelling the sector forward. 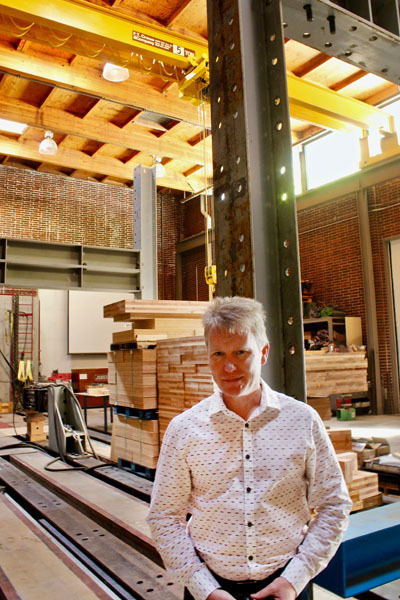 Oregon State University’s Tallwood Design Institute is planning a joint master’s degree on timber design with the University of Oregon architecture school, along with a more industry-oriented certificate program. …Oregon took a step ahead of the nation in August, when the state building codes division allowed 18-story mass-timber high-rises. …Unsurprisingly, concrete producers are waving red flags at the outpouring of public money for the Tallwood Institute and other mass-timber projects. …The safety record of tall wood buildings in Europe suggests critics’ concerns may be unfounded. A new research hub aims to help Australia’s pulp and paper industries transform their production waste into marketable materials such as food packaging. 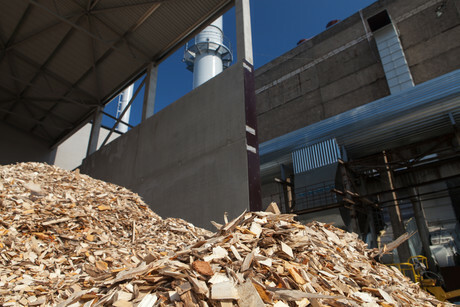 The Australian Research Council (ARC) Hub for Processing Advance Lignocelluosics into Advance Materials, launched by Monash University, will enable pulp and paper companies to become biorefineries. Over five years, a total of $6.8 million will be invested to convert wood, plant-based matter and other biomass into materials such as cellulose-based hydrogels for personal medicine, nanocellulose films to replace plastic food packaging and nanogels to help farmers maintain crops in the ever-changing climate. OTTAWA — The Canadian Chamber of Commerce has asked for immediate federal funding to stop the spread of the destructive mountain pine beetle as it threatens to spread across the country. Chamber CEO Perrin Beatty says in a letter sent to Natural Resource Minister Amarjeet Sohi that warmer winters have allowed the beetle to spread east and that the threat is at a critical juncture. Beatty says the pine beetle will have a clear path to spread across the rest of Canada if it breaches the forests that border Alberta and Saskatchewan. He calls on the federal government to recognize that the infestation is of national significance and to provide funding to match the threat, starting with $100 million to help fund Alberta’s efforts. He says, in recent years, Alberta has been largely left to fund efforts to keep the beetle at bay, so far spending more than $500 million to control the beetle’s population. …”Quastuco Silviculture Ltd would like to notify the readers of Castanet that our fall forestry waste reduction activities will be commencing on Monday October 29th,” says Scott Overland, President of Quastuco Silviculture. …Companies like Quastuco Silviculture are hired by Weyerhaeuser and Gorman Bros Lumber to burn operational waste on areas harvested over the previous year. …”Our activities will be potentially viewable along major corridors from Oliver to Kelowna and Kelowna to Big White. Main areas where you may see smoke or fires at night are in the following areas: Naramata, Summerland, Peachland, Joe Rich, Oliver and Penticton. The world’s most ancient trees are failing. And their demise is telling us something about the dramatic impact of climate change on the natural world, says famed botanist Diana Beresford-Kroeger. The tree expert, who is also a medical biochemist, is clearly concerned, if not shaken. …The botanist, who has been studying the health and importance of global forests for decades, rhymes off one example after another. She begins with evergreens in the Atlas Mountains across northwest Africa. …Other primal and iconic trees are floundering too. 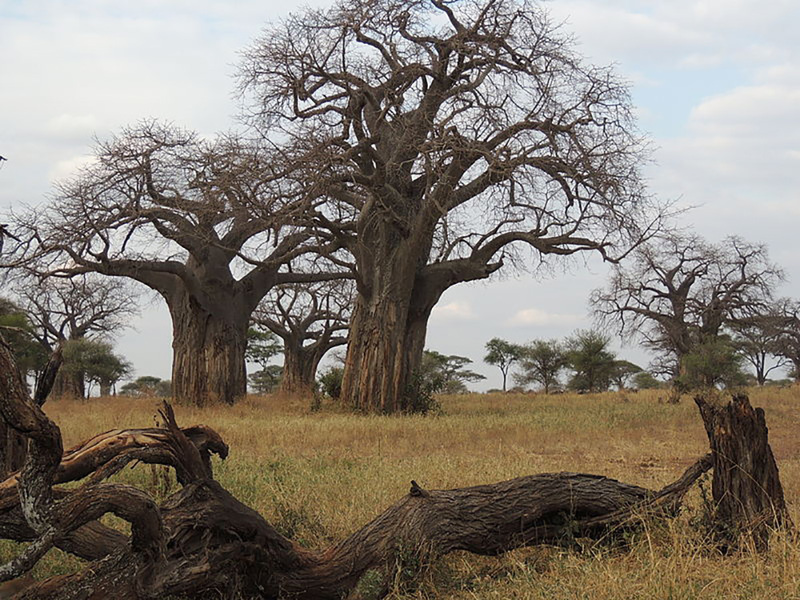 In Africa the great baobabs, or “upside down trees,” are dying in en masse, says Beresford-Kroeger. …She also worries about the fate of the “totally unique” boreal forest, which covers northern Canada and much of northern Europe and Asia. Recently, a loud noise was heard coming from Province House in Halifax… the basement door being slammed shut on another government report — the Lahey forestry review. Just kidding. …Clearcutting on our Crown land base still continues on a daily basis. …Has the Department of Lands and Forestry not listened to anything in the last 50 years in terms of doing what the taxpayers have asked for — which is to responsibly manage the forests on our Crown/public lands? …The public has a right to know what our government is going to do in terms of implementing the Lahey report. The silence is deafening! …The Wildland Fire Origin and Cause Determination course, also known as FI-210, is how land management agencies increase the number of people qualified to investigate wildland fires using a systematic method that’s designed to produce evidence and information that can withstand scrutiny in any jurisdiction. Since 2002, nearly 350 people have gone through the course in western Nevada. …The course was organized through the Sierra Front Wildfire Cooperators, National Wildfire Coordinating Group and the International Association of Arson Investigators in Nevada. …Patrick Callahan, a fire prevention technician for the Plumas National Forest, said doing a thorough, systematic investigation can help win convictions in criminal cases or cost recovery in the case of negligence. For years, county commissioners in rural Utah have complained the U.S. Forest Service’s Roadless Area Conservation Rule has thwarted sound forest management by unnecessarily complicating and even blocking projects that would promote forest health and sustain a timber industry. Crafted during the Clinton administration, the rule shields inventoried unroaded lands in national forests from some activities that would require new roads. …Now Gov. 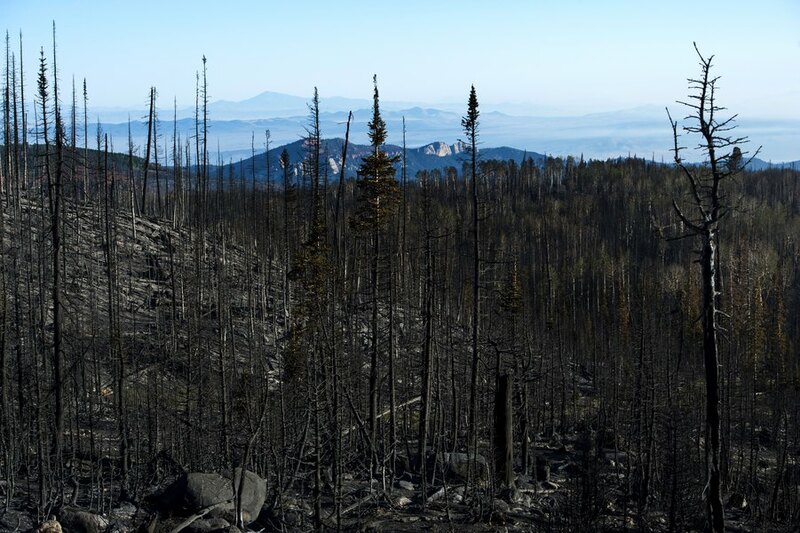 Gary Herbert is petitioning the U.S. Department of Agriculture to… give the state greater influence over national forests and expand “active management,” such as mechanical thinning, clearing out dead and downed trees, and prescribed burns. …Pushing back, environmentalists view the state’s effort as a ploy to open these lands to commercial logging and are vowing to put up a fight. Eastern hemlock trees, conifers that were once the giants of the lumber business, are disappearing. 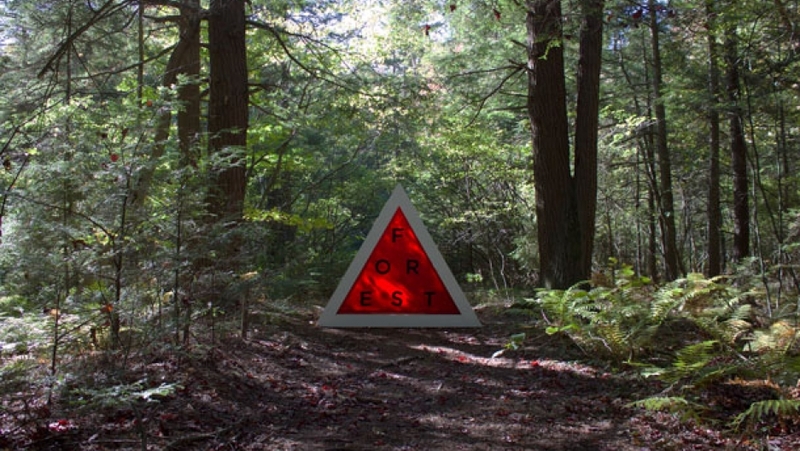 A series of art installations along an interpretive trail in the 4,000-acre Harvard Forest in Petersham, Massachusetts, gives creative expression to this long and complicated story. “Hemlock Hospice” is a collaborative work by Harvard Forest senior ecologist Aaron Ellison and artist David Buckley Borden. The Harvard Forest is known as the “wired woods.” It’s a hotspot for scientific research on topics ranging from soil warming to atmospheric carbon exchange. …look more closely and you notice all the hemlock trees are dead or dying. Climate change is spurring the hemlock wooly adelgid (HWA), an invasive insect, to move further north. The insect kills hemlock trees by sucking out their sap. Spindly, bare branches are strewn about the ground and the decaying, gnarled trunks moan as they lean over one another. Species of reptiles, amphibians and other vertebrates are becoming extinct in Haiti as deforestation has claimed more than 99 percent of the country’s original wooded areas. 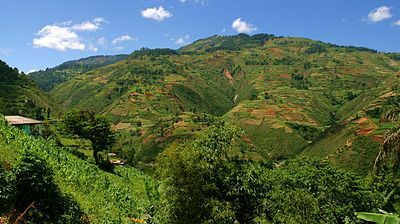 A research collaboration that included two scientists affiliated with Oregon State University found that 42 of Haiti’s 50 largest mountains have lost all of their primary forest. Moreover, mountaintop surveys of vertebrates showed that species are disappearing along with the trees, highlighting the global threat to biodiversity by human causes. Along with the mass extinctions, the findings, published today in the Proceedings of the National Academy of Sciences, suggest that over the next two decades Haiti will lose all of its remaining primary forest cover. Well over half the world’s population of vertebrates, from fish to birds to mammals, have been wiped out in the past four decades, says a new report from the World Wildlife Fund. Between 1970 and 2014, there was 60 per cent decline, on average, among 16,700 wildlife populations around the world according to the 2018 edition of the Living Planet Report released Monday. “We’ve had a loss of nearly two-thirds, on average, of our wild species,” said James Snider, vice-president of science, research and innovation for WWF-Canada. “The magnitude of that should be eye opening… We really are reaching a point where we’re likely to see species go extinct. That’s true in Canada and abroad.” …Species in decline include Canadian species such as barren-ground caribou and North Atlantic right whales as well as many migratory species such as songbirds and monarch butterflies that breed in Canada. Australia’s east coast has been compared to the Amazon as a “deforestation front” in a new global report by the World Wide Fund for Nature that underscores the threat to populations of koalas and other native species. The Living Planet report, produced by WWF every second year for the past 20 years, says global populations of vertebrate species have declined 60% since 1970. But koala numbers have disappeared at a much faster rate – more than 20% a decade – to the extent they could disappear from the wild in New South Wales by 2050. The report assessed 11 deforestation hotspots, where broadscale clearing had occurred at problematic levels since 2010, and where deforestation was expected to continue in the next decade. Eastern Australia was the only location in the developed world to make the list. Forests are vital to fighting climate change, removing more than one-quarter of the carbon emissions added to the Earth’s atmosphere annually, scientists say. But the rate of deforestation has increased in much of the world in recent years. …The Ray C. Anderson Foundation and the Biomimicry Institute, for example, launched a competition this year to address solutions to climate change, and a team of Brazilian entrepreneurs won the $100,000 prize on October 20 for creating a device designed to protect seedlings from invasive grasses and leafcutter ants. The Nucleário, which gathers rainwater for the soil and tree roots, was designed to be deployed in parts of the Atlantic Forest. The device’s inventors — Bruno Rutman, Pedro Rutman, and Bruno Ferrari — say it allows for more reforestation in less time, as field workers don’t need to focus on seedling maintenance and can plant more trees instead. ISLAMABAD: The saplings planted under Billion Tree Tsunami project in Paharpur, Kulachi Dera Ismail Khan (DIK) have transformed the landscape of the area and a fully grown forest is now visible. Advisor to the Prime Minister on Climate Change Malik Amin Aslam said in a statement issued here that the campaign in Khyber Pakhtunkhwa afforestation campaign had entered into the next level. He said that the project has given a new image to Pakistan on the International Forums International Organisations and media houses are praising the project of PTI government. “Over 6.3% increase recorded in the land covered by Forest in KP in just 3 years,” he informed. Climate change is not as bad as you think it might be. It’s worse. The gloom and doom scenario is the current reality of how extreme temperatures are changing our environment and accelerating the risk of floods in the spring and forest fires in the summer, says Rob Gray, a forestry fire science analyst. “The current weather trend is a bit worrying. It appears we are going to have a mild winter so the drought conditions of the past two years are likely to carry over to next year,” said Gray. “I did a podcast for CBC back in the spring of 2017 talking longer fire seasons, less snow in the winter, less precipitation in the summer and more dry lightning, look for that to start to kick in more within another two decades, and that’s what happened in 2017 and again in 2018. Although air quality often takes a backseat to occupational safety, lung cancer mortalities are 50% higher among construction workers than the general population. The Center for Construction Research and Training (CPWR) and Duke University found that nearly one-fifth of lung diseases among construction workers may be a result of harmful emissions on site. While some of these toxins are considered respiratory irritants, others are long-known carcinogens directly linked to lung cancer. …As of late, silica has been referred to as the “new asbestos” because of its prevalence throughout the building trade and its ability to cause silicosis, an incurable lung disease. OSHA reports that 2 million construction workers are exposed to crystalline silica and over 800,000 workers exposed to levels beyond the recommended limit. Often a result of sawing or cutting concrete products, it has been found that these workers are twice as likely to develop chronic obstructive lung diseases like chronic bronchitis and emphysema.